Effectively communicating with members is core to any association’s fundamental goals. When it comes to email campaigns and newsletters, there’s always room for improvement. For associations, connecting with members via email is a unique challenge. 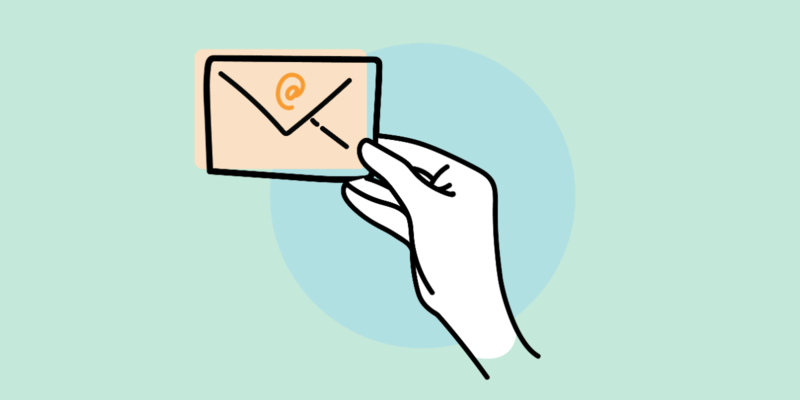 Here’s our roundup of 11 tips to help associations send better emails to their members. Make a great first impression. By allowing your members to set their communication preferences right from the start, your members will feel immediately in control of their relationship with your association. Ask your members when and how often they want you to contact them and the kind of content they’d like to receive. Start off your new member’s experience with a warm welcome email. This is your opportunity to say “hello” and set expectations for what your new member can expect from your organization. This is a great time also to let them know who they can go to in your organization if they need any help or have concerns. If you haven’t already done so, you can ask your member to set their email subscription preferences at this time to make sure they feel in control of their new relationship with your organization. It’s essential that you choose the right time to send your emails. To start, you should test out sending on different days and times and see when you get the highest open rates from your members. It’s very likely that your members are receiving the most emails on Tuesdays, Wednesdays, and Thursdays. For that reason, we recommend giving Friday afternoon a chance. As your member is winding down their week, they might enjoy sitting back and reading your newsletter. Not all email platforms are created equal; choosing the right one will have a massive impact on your success. That was part of our inspiration for creating Wicket; we wanted to enable associations to use the best software available. Personally, we love MailChimp. MailChimp offers the best data protection, personalization, subscriber list management and email style customization. That’s why we offer a straightforward MailChimp integration with Wicket. Now that your subscribers have set their communication preferences, it’s key that you remain consistent in how often you’re communicating with them. If you’ve offered to send your members an email every week and they’ve agreed to that, you should be following through on your promise. You want your members to know what to expect from you. Personalizing your emails is critical. Not only should it follow the preferences your member has already set, but it should also be specific to them (use their name!) and their location. When telling them about member events, send them local events that are smaller and send them more content, like where to stay, for larger conferences that are further away from their location. Stay on top of what’s working. It’s critical that you’re monitoring how effective your communication is. Touchpoints in Wicket helps you take a broader view of your data by giving you the bigger picture of all your interactions with your members including email communication, website logins, profile updates, event registrations and much more. Being able to analyze your member data easily is critical in getting to know your members’ wants and needs. With your email campaigns, you can take this one step further and conduct a/b split tests with your members to test how subject lines and email content impacts your open rates and click-through rates. It’s no surprise that your members are probably opening your emails on their phone. In 2016, mobile opens hit 56%, and that rate has only increased since. That’s why you should consider mobile first. When writing your emails, limit yourself to a narrow column so that you have a visual reminder for keeping it short and sweet. When you start with mobile, it’s easy to adapt your email template to a larger screen size. It’s important to identify your less engaged members and find ways to provide them with better value. Start by identifying the members who have much lower open rates. Now you can set up a campaign to re-engage them. Try sending polls or surveys to these members to get a better idea of the content they’re looking for. This is also an excellent time to offer them an opportunity to update their communication preferences; it’s possible their interests have changed. The primary goal of your re-engagement campaign should be finding more relevant content for your members. While announcements are essential, we’re seeing an increased trend in members wanting more editorial style content with tips, ideas, and advice. Try incorporating more of this content into your communication strategy. Also, make sure that your editorial content aligns with the preferences your members have already set. You shouldn’t be sending your emails from a “no reply” email. An email campaign is a great way to create a dialogue with your members. If you’re not prepared to use email as a way of having a two-way conversation with your members, you should probably consider a different communication strategy like a blog. No one wants to feel like they’re receiving emails from a robot, especially association members. By allowing members to reply to your emails, you’ll also decrease your likelihood of ending up in the spam folder. Gmail, for example, will consider your emails important if your recipients reply.